A Realtor's Value - David Ortino, M.B.A.
Easy. Add value by making the sale or purchase of your home a faster, safer more rewarding and hassle free experience. For the Seller, this provides a better way to help list, market and Sell your property. I provide packages that offer my clients a higher level of protection, service and play a greater role in making the home selling process faster, safer, more rewarding and hassle free for my client. For Our Buyers, our guaranteed fixed cost quotations, SafeCloseTM Home Systems and Appliance Warranties, SafeCloseTM Home Closing Protection Program and R-CloseTM HouseCall Closing Service create certainty, peace of mind, reduce risk and liability after the homme has closed and they have moved in. A convenience only available through my realtor services. Add to that our state-of-the-art file tracking software that keeps you in the loop at every minute you have real value added programs No Discount/ Reduced Commissiom Brokerage could ever match. This coverage is the total protection coverage. It covers your lawyer's legal fees and other disbursements. The SafeCloseTM Seller's Home Closing Protection Program temporarily insures living expenses, bank fees, legal fees, moving and storing costs. This package also includes the SafeCloseTM Seller's/Buyer's Basic Home Systems Warranty and R-CloseTM HouseCall Closing Service. This package covers your lawyer's legal fees and other disbursements. The SafeCloseTM Seller's Home Closing Protection Program temporarily insures living expenses, bank fees, legal fees, moving and storing costs. This package also includes the R-CloseTM HouseCall Closing Service. This coverage is the total protection coverage. It covers your lawyer's legal fees and other disbursements. 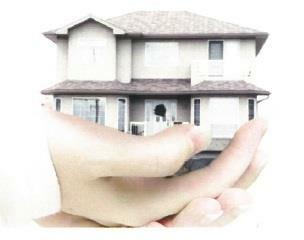 It also includes the SafeCloseTM Seller's/Buyer's Basic Home Systems Warranty and R-CloseTM HouseCall Closing Service.